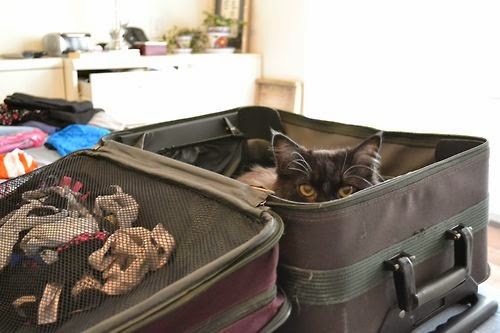 I’m getting ready to go visit Rachel in Nevada next weekend. As Chicago fixes to go down below zero, I’m looking forward to visiting the desert – the forecast says sixty degrees Fahrenheit. Bikini weather, man – especially today, as I look out the window at the frozen icy snow slush that now covers the ground. Bleck. I adore traveling. I like to travel where I live, and pretend I’m a tourist in my own town. I like to travel to other places and pretend I’m a tourist there, too. Tourists have gotten a bad rap – we all have the picture in our minds, the loud, arrogant jerk in the awful Hawaiian toucan puke shirt with his wife and her teacup Chihuahua in a Gucci bag, wearing stupid shoes and complaining about the locals. Thing is, I haven’t actually seen this ubiquitous awful traveler, and I’ve been to a lot of places. Of course, I did see the lady with the, I kid you not, twelve inch long fingernails. It was disgusting. Truly. I felt like I was looking at a living skeleton. I mentioned this to someone and they told me, “Oh, yeah, Chinese emperors used to wear their nails like that.” Wow. Beauty is relative and culturally determined, says the sociologist in me. Eww, says the awful traveler. 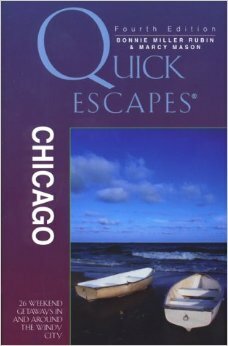 I was planning our February trip and pulled a book off my shelf, Quick Escapes Chicago. It got me thinking, maybe there’s one for Las Vegas (there is). The premise of the book is that there are twenty-six suggested escapes near the Chicago area, including one in downtown Chicago itself. These kinds of things are easy to find, once you know what you’re looking for – and it’s not just books. There are several links to things like Chicagoist, that have suggestions for day trips. Towns and cities typically have tourist sites to lure travelers, and these can provide a wealth of information. There’s something to be said for going off the beaten track. In fact, there’s a website called Off the Beaten Path. That’s targeting the adventure outdoor travelers, but the idea is the same: look around for things that locals enjoy, that aren’t necessarily the mainstream big tourist spots. For example, did you know there’s a museum of surgery right here in Chicago? There’s a Superman Museum in Metropolis, Illinois. Farm stands can yield a variety of local color – even a speed trap where you can get a ticket in Dukes of Hazard style, given to you by the largest man ever birthed by woman (I swear he couldn’t have fit in the police cruiser car; I think it had to have been a Tardis). Even walking around our own neighborhoods, when we do it with the eyes of someone who’s never seen it before, can yield amazing insights. What we see as “normal,” after all, is only normal to us because we see it every day. If you like to snap photos, there are online communities (Picasa and Imgur are two very active ones) that are stuffed to the gills with folks who like to look at the world around them, in all its mundane and glorious detail. When we start to see the world around us with the eye of a photographer, then we truly begin to see. What interesting local attraction have you wondered about? Could you visit it this year? Previous PostPrevious New Year’s at the Hop!